Kimberly joined Watermark in 2014 with 31 years of experience in practice management and customer service. In addition, Kimberly also owned and operated an independent business for 9 years. Besides holding FINRA Series 6 (Investment Company and Variable Contracts Products Representative) and 63 (Uniform Securities Agent State Law), Kimberly has her AZ Life, Health, and Variable Annuities licenses. 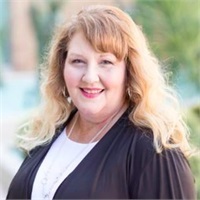 She was also licensed and certified by the State of AZ as a Private Fiduciary for 7 years and assisted CPAs and EAs with tax preparation for 8 years. Prior to her experience in the financial services industry, Kimberly spent 17 years managing a dental practice and was also a small business owner for 9 years. She prides herself in establishing and maintaining relationships with clients and being a liaison in servicing their needs. Away from work, Kimberly loves spending time with her family at different sporting events and volunteering for various charitable organizations.